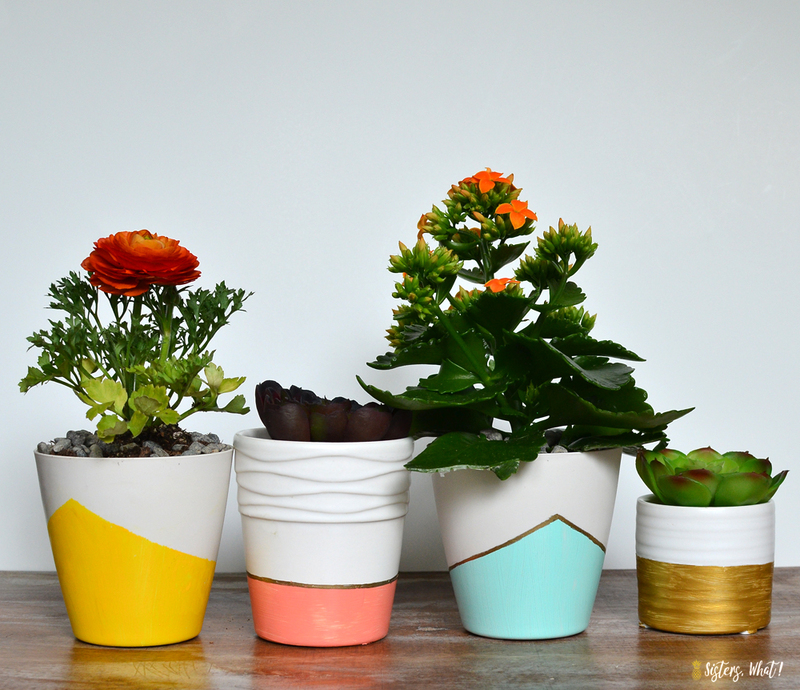 ' DIY Color Blocked Pots for Flowers or Succulents: Perfect for Mothers' Day! - Sisters, What! 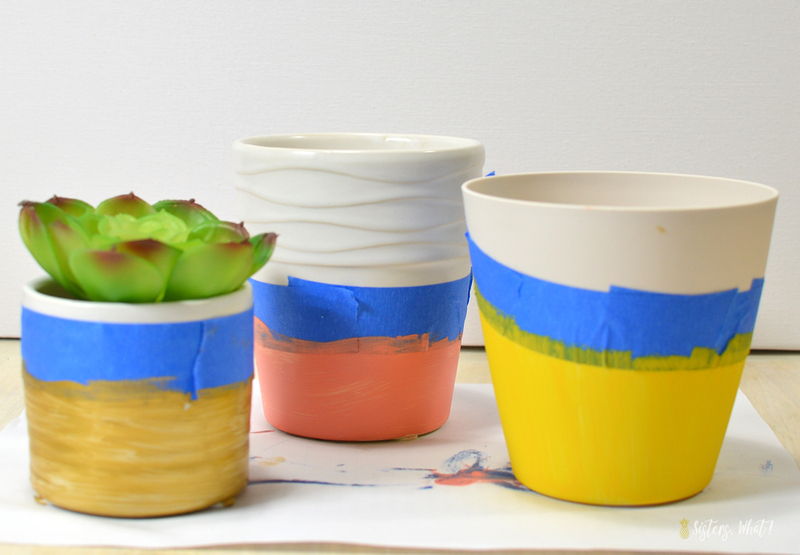 DIY Color Blocked Pots for Flowers or Succulents: Perfect for Mothers' Day! 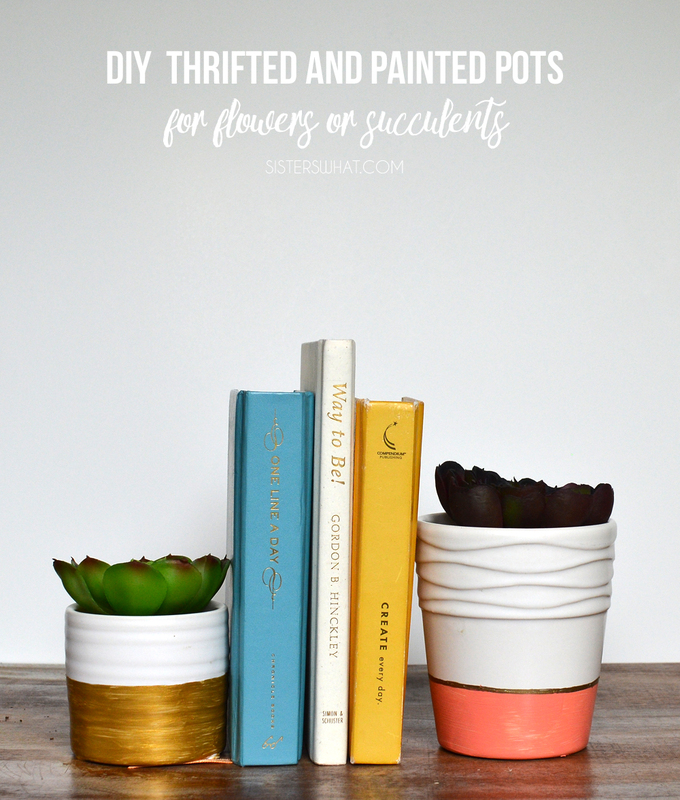 In anticipation for warmer weather and flowers, these inexpensive painted color block plastic pots are perfect for having flowers inside and add some color to home decor. AND their easy and quick to make. 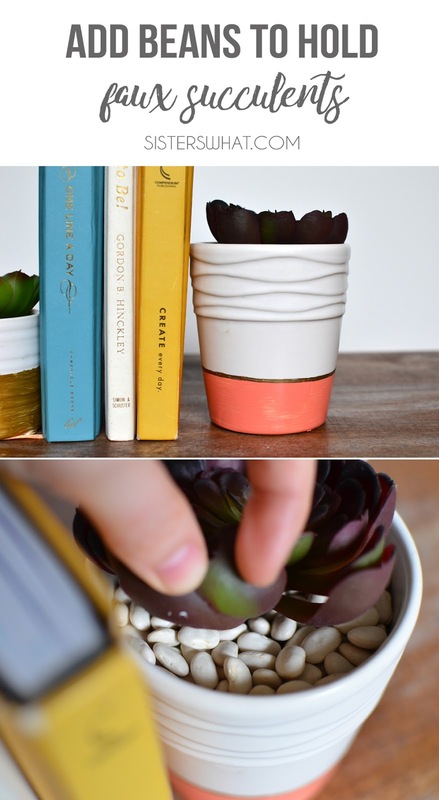 This project is perfect for Mother's Day! This winter has been a dismal one and I'm pretty sure not just for us in the PNW. While we haven't gotten a terrible amount of snow like many, we've gotten buckets of rain almost everyday and let me tell ya, I'm so ready for sunshine and flowers. 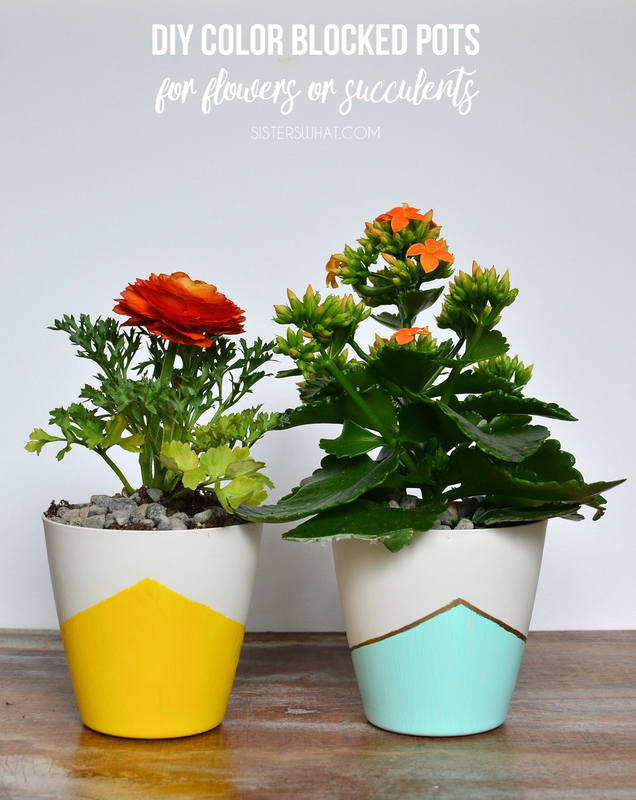 I'm joining in Happy Hour Projects to come up with a fun and easy craft for Mother's Day. This was easy since I just made something I would love to receive for Mother's day: flowers and some color! 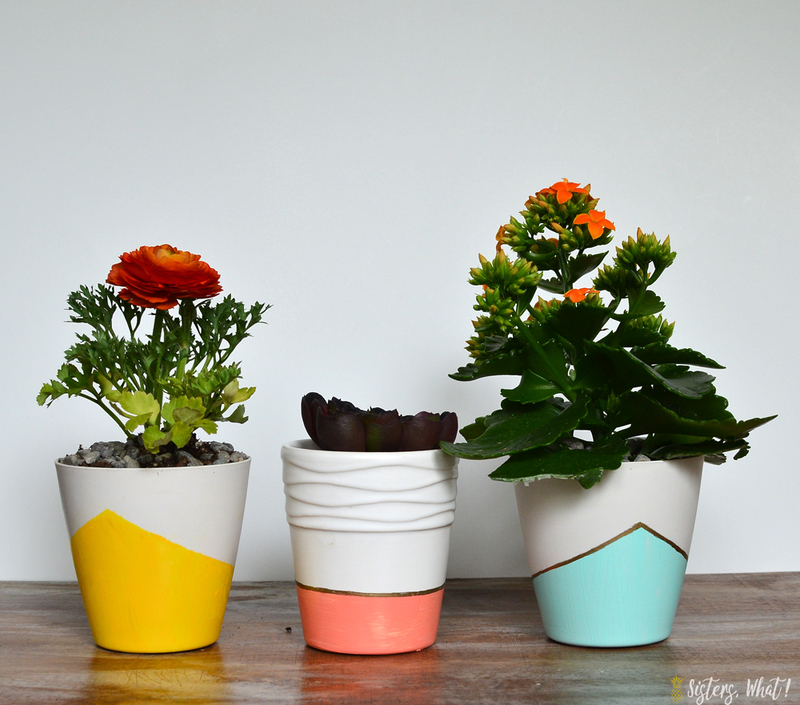 Painting some flower pots seemed a perfect way to bring some color to these rainy days and flowers are a must right now. The yellow and mint plastic flower pot I found at Target for a dollar each. 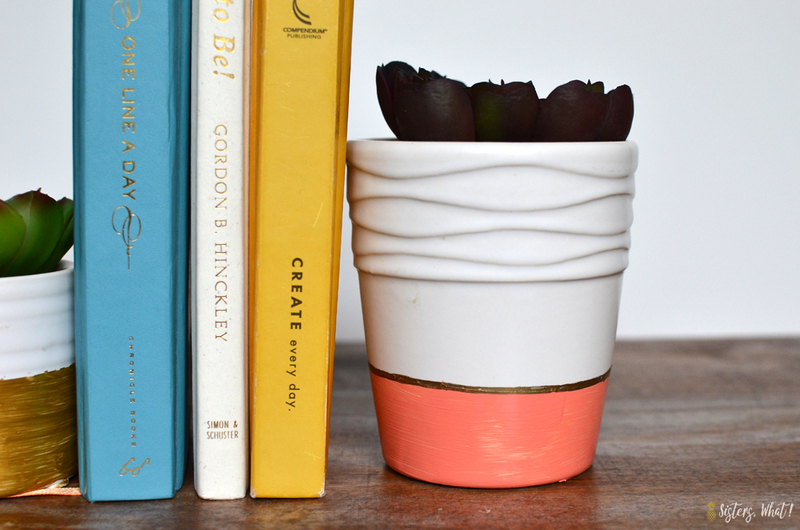 The coral painted pot was I found at the thrift store for a dollar and the gold one was found at the Target Dollar section (just white when I found it and already had a faux succulent in it). After I painted the mint and the coral, I used a gold sharpie to add a line. I love how it looked with those colors. 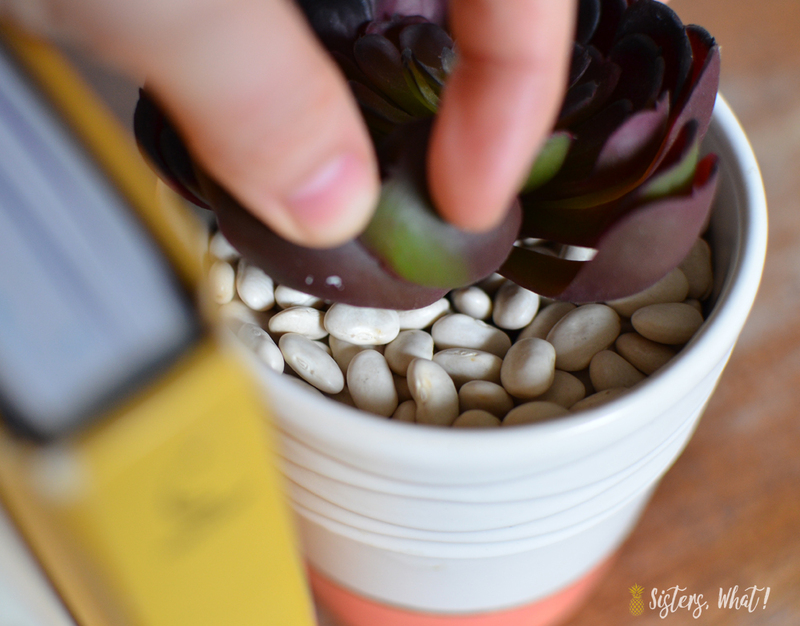 I happen to have a faux succulent on hand that I added to the coral pot, but I didn't have an floral foam so I added beans to hold it in place. Painters Tape (I recommend frogtape, but I didn't have any on hand at the time). 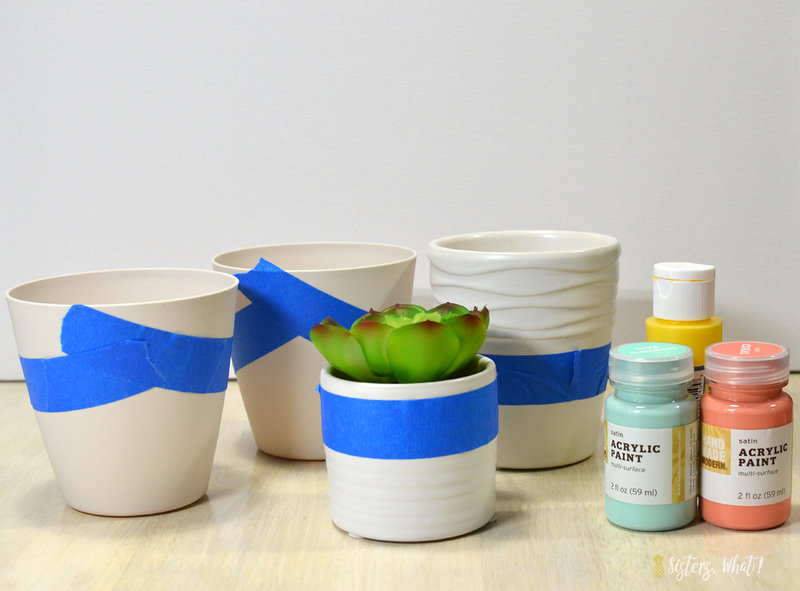 Add your tape on your pots where you'd like to section of the paint. Use a sponge brush and paint on your paint. *paint tip: paint down from the tape instead of up to the tape so as to avoid any paint seeping under the tape line. Also pull tape off immediately when done, unless doing multiple coats. Pulling the tape off before the paint dries avoids paint coming off from being dried to the tape . After your paint is dry, add a sealant onto the paint. Happy Spring and Mothers Day!